Put John C. Reilly and Steve Coogan in any movie and I’ll see it. Put them in a biopic about an iconic comedy duo? Two tickets please! In BBC Films’ upcoming Laurel and Hardy biopic, Stan and Ollie, Reilly and Coogan are all-too-perfectly cast as the slapstick double act. The film will close the BFI London Film Festival in October, and the fest has debuted the first official photo of the actors as the Hollywood comedians. Reilly’s transformed into the pot-bellied Oliver Hardy, with his short tie, bristled mustache and combed bangs. Coogan’s looks a heck of a lot like Stan Laurel, even posing with his signature closed-mouth smile. 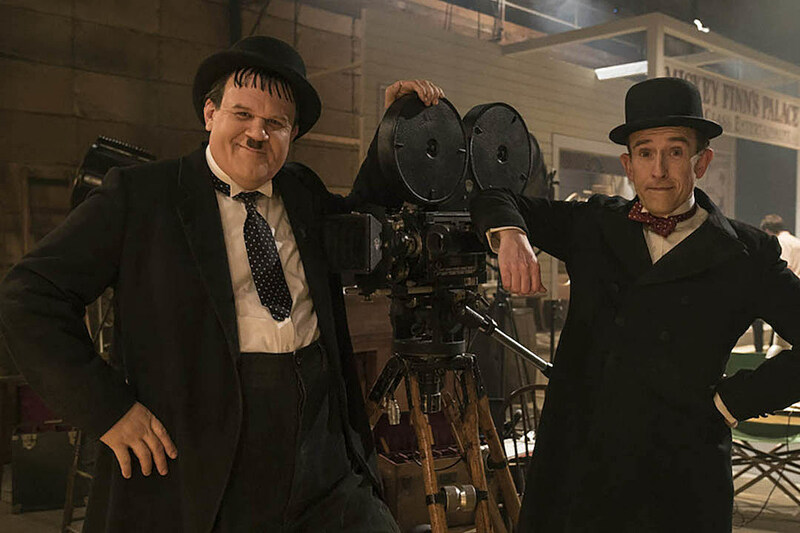 Stan and Ollie comes from director Jon S. Baird (Filth, Babylon) and a script by Philomena‘s co-writer Jeff Pope. While Laurel and Hardy had long careers in Hollywood, making 107 films together – not to mention the hundreds of pictures they appeared in solo before beginning their collaboration – the film will detail the pair’s farewell tour across the U.K. and Ireland in 1953, joined by their wives Lucille Hardy (Shirley Henderson) and Ida Laurel (Nina Arianda). Danny Houston also stars as film producer Hal Roach. Those lucky enough to attend the BFI London Festival will also get a chance to see a month-long Laurel and Hardy series play leading up to the film’s premiere. Stan and Ollie makes its debut at the fest on October 23, followed by a U.K. release next January. No word yet on when the film will make it across to the pond to the U.S., but hopefully soon.